In large bowl, mix all ingredients; spoon into baking dish. Bake about 1 hour or until bubbly and hot. Let stand 5 minutes before serving. 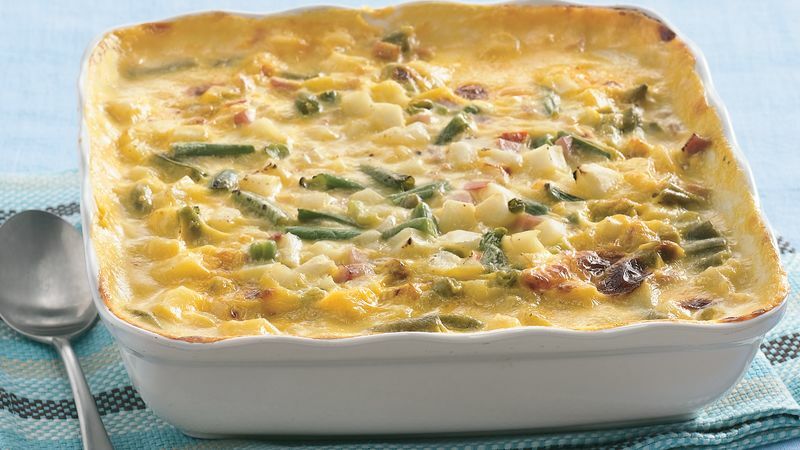 Change the flavor of this casserole and use diced cooked turkey instead of the ham.